Ideally, you’ll never need to borrow money or worry about securing personal loans in Canada. However, we know sometimes personal expenses can add up to more than what you can afford with your income or cover with your savings. A personal loan is one of the safest and least expensive ways to help fill that financial gap. Allowing you to borrow anywhere from $1,000 up to $50,000, personal loans can be your saving grace in certain situations. Of course, there are a lot of intricacies, potential risks, and complex information surrounding personal loans. It can be a confusing process to figure out, but that’s why we’re here. The team at LendingArch created this guide to allow you to become better educated and help you find the perfect personal loans in Canada. First things first, what exactly is a personal loan? This type of loan is designed for individuals to borrow money from a bank, credit union, or private lender. Personal loans are received by borrowers in one lump sum and are a great way to get cash fast. Personal loans in Canada are considered to be unsecured as they’re not backed by collateral. Lenders will look at your credit score to determine loan qualifications. Additionally, it’s important to know that personal loans aren’t like credit cards. Instead, personal loans are installment loans which means they have a fixed repayment term (2-5 years), fixed interest rate, and regular monthly payments. What Should You Think About Before Getting Personal Loans in Canada? As a borrower, you have plenty of options to choose from when trying to find personal funding. Although credit cards, a home equity line of credit, and medical loans can help to fill in that financial gap, oftentimes you’ll have to jump through hoops. A personal loan in Canada is one of the best, fastest, and easiest ways to receive the money. But is it the best option for you? If you’re looking to get the best rate possible for your personal loan, you’ll also have to have a minimum credit score of 650, low debt to income ratio, and no history of bankruptcy. From this list, the biggest item that will play a role in getting personal loans in Canada is your credit score. Typically, the higher your credit score is (725+), the more affordable the loan will be. In this scenario, the only downside to having a lower credit score (700 and under) is that you might receive a higher interest rate and larger monthly payments. If you have little to no credit, there is no reason to be alarmed. There are plenty of Canadian lenders who will work specifically with you to secure personal loans in Canada. Besides your loan eligibility and credit score, another item to consider before getting a personal loan is to understand and be realistic about the repayment terms. Unlike other types of debt, personal loans need to be paid off within a short timeframe. Since this loan is unsecured, failure to make payments could result in extra fees and even being taken to court. Conversely, there are some lenders who will charge you for paying off the loan too soon. We recommend that you read through all of the terms and conditions before signing on the dotted line. Interest Rates: This rate will be of great significance in terms of the total loan amount. For example, a $10,000 personal loan with a 12% interest rate with a 5-year term has a total loan amount of $13,347. The same loan amount and term with 16% interest rate has a total loan amount of $14,591. Repayment Flexibility: Review the loan terms to see if you can pay it back in both lump-sums and regular payments. Fees and Charges: Loan application fees and other repayment fees can quickly add up. Taking into consideration the loan’s interest rate as well as these additional fees will ensure you find a competitive loan. Excellent Customer Service: While most of your communication might be done online, it’s important that the lender offers helpful and prompt responses. If you do speak to a representative over the phone, is he/she friendly? Make sure that you’re happy with how you’re being treated. We encourage you to shop around to make sure you find the best possible option. Asking important questions will help guarantee that you’ll find the best personal loans in Canada and avoid costly mistakes. Question 1: How much do I need to borrow? Add up all the costs you need your personal loan to cover. Make sure to limit yourself to that amount. While it might be tempting to tack on an additional thousand dollars, it will increase your overall loan cost and could even lead you to default if it’s too much for you to handle. Question 2: How much can I afford? Creating a monthly budget to showcase cashflow will give insight into how much money you have left for monthly loan repayment. You can even consider cost saving in select areas. For example, bundling cable and internet into one single package can help to save you a few dollars per month. Question 3: Will I need a co-signer? With two combined credit histories, you can usually secure a better loan interest rate, and terms and conditions. 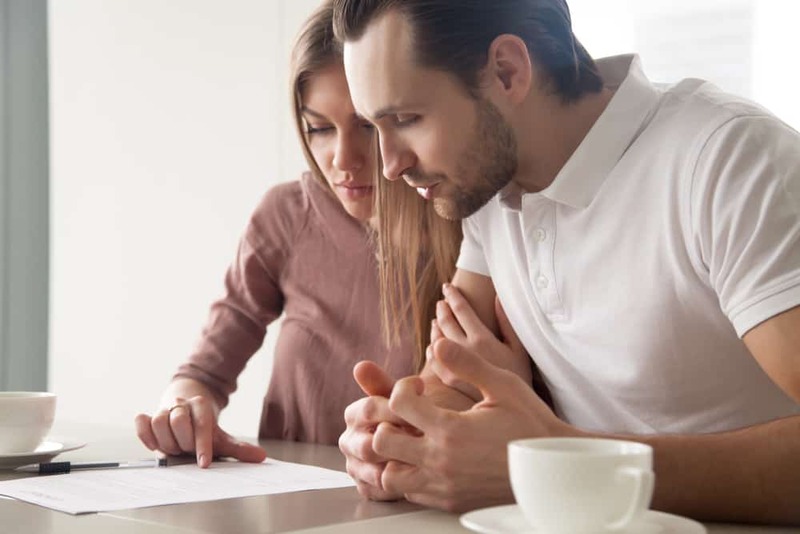 Depending upon your current financial situation and whether or not you have a reliable relative or friend will determine whether or not you should have a co-signer for your personal loans in Canada. Question 4: What fees will I have to pay? From orientation fees (1-6%) to late payment fees (on the off chance you’re a little late) to early repayment fees, finding out and calculating all loan fees will make sure that you find the best deal. Additionally, you’ll also need to factor in the loan interest rate, too. Question 5: Is my lender trustworthy? Now that you know more about personal loans in Canada, let’s talk about some commonly used terms you’ll see throughout the process. Application Fee: A flat fee that some lenders will charge for the processing of a loan application. Asset: Resources controlled and owned by an individual that produce profits to the owner. Automatic Transfer: The transfer of money from one financial institution to another on a predetermined date. Credit Rating: Report of an individual’s credit-worthiness based upon their borrowing and repayment history. Default: When the borrower fails to make repayments on a loan. Drawdown Date: The day when the borrower first uses the loan money. Fixed Rate: The interest rate that remains the same for a period of time. More often than not, your personal loan will have a fixed rate for the entire lifetime of the loan. Guarantee: A promise to pay the monthly payment based upon a claim or defined event. Usually, this term will only apply to those with a co-signer. In that instance, the co-signer would be guaranteed to pay your monthly payments should you default. Redraw: When the borrower can withdraw extra payments that they’ve made on the loan. This is not available on all loans and is only allowed for those who are ahead on loan repayments. Secured Loan: When a borrower offers an asset as collateral for the debt. This collateral acts as insurance and security for the lender on the off chance the borrower defaults on the loan. Since these loans are less risky, a lower interest rate is usually offered. Unsecured Loan: Unlike the above, with this type of loan the borrower doesn’t offer any collateral. Because of this, an unsecured loan is high-risk thus making the interest rates high. Variable Interest Rate: In contrast to a fixed interest rate, a variable interest rate fluctuates by increasing in percentage every 1-2 years. Oftentimes the best solution to quickly get the money you need is with an online loan. Here at LendingArch, we work with multiple Canadian lenders, making the loan application process as smooth, easy, and fast as possible. To get started, fill out our short online application and within minutes you’ll be matched to lenders and loan options specific to your financial situation. If you have any questions throughout the process, our Support Team is ready to help. With LendingArch, you can quickly find the right personal loan to meet your needs. Contact our team today.